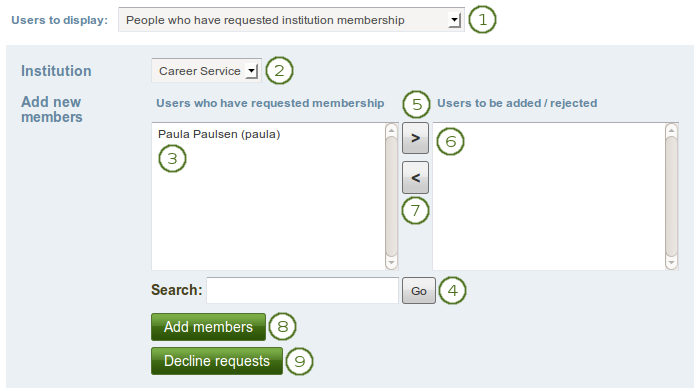 Drop-down navigation: Check this box if you want your institution to use a drop-down navigation instead the tabbed navigation. 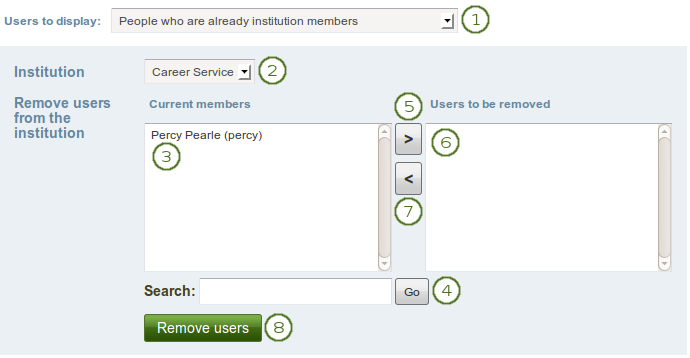 Page skins: Check this box if you want your institution members to use page skins. 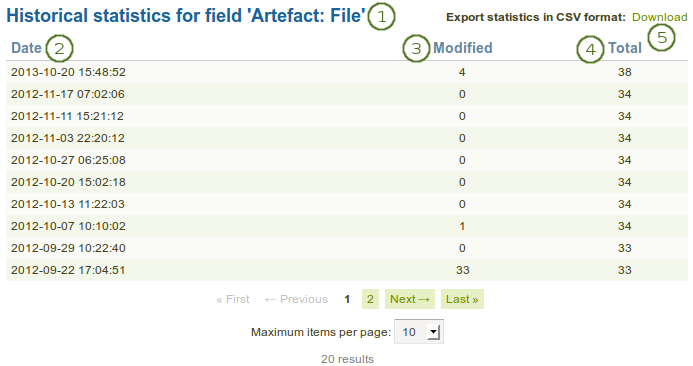 Locked fields: Put a check mark into each checkbox for which users are not allowed to change the value. 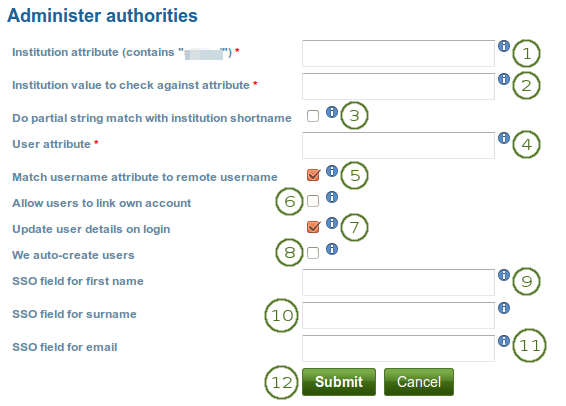 Disabled checkboxes are for profile fields which are locked in the institution settings for “No institution”. 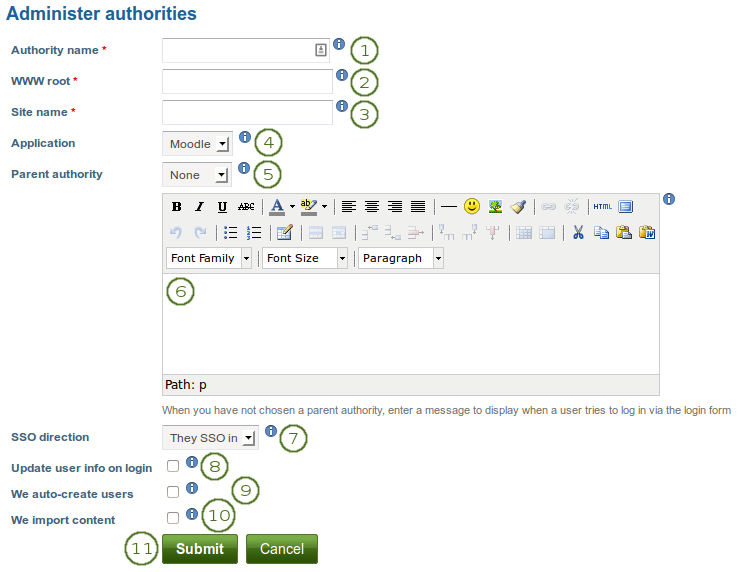 These profile fields are locked at the site level and cannot be unlocked for individual institutions. 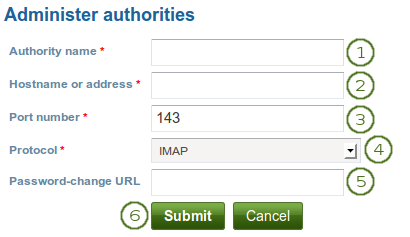 Click the Submit button to save your changes and create this institution, or click the Cancel button to abort the creation of this institution. 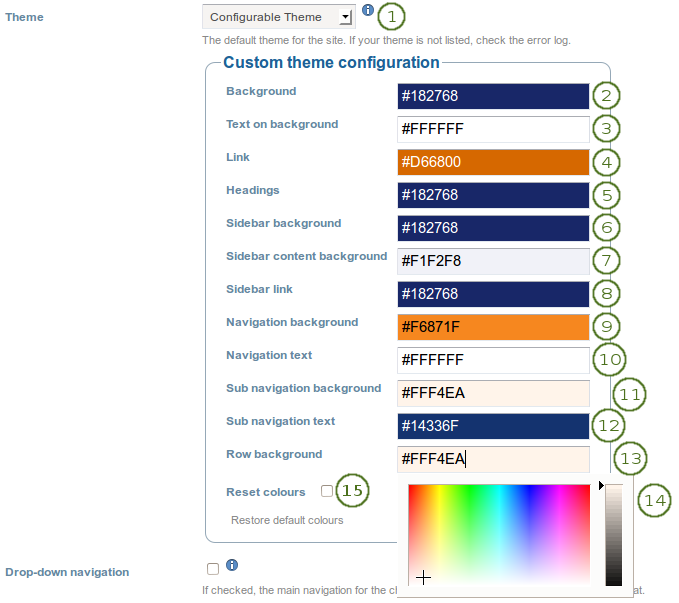 Sidebar content background: The colour of the inside of a sidebar. 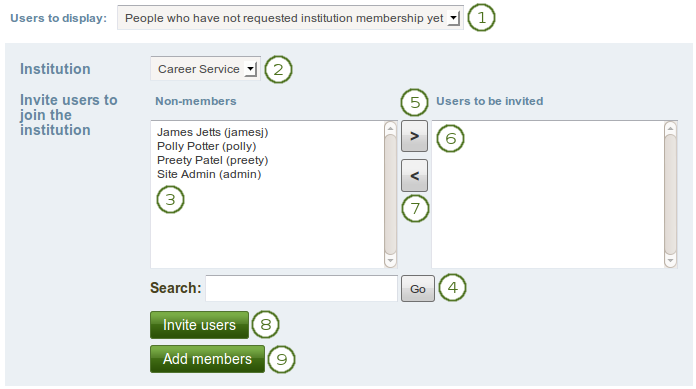 Group sync: Decide whether you want to automatically create groups in Mahara based on your LDAP groups. Update user info in cron: Tick this checkbox if you wish for user information to be updated via the cron if they changed in the LDAP record. Auto-create users in cron: Tick this checkbox if you want new users in your LDAP directory to get an account automatically. Suspend user’s account: The user’s account will be suspended. The user will no longer be able to log in, and their content and pages will not be viewable. However, none of their data will be deleted, and the user can be un-suspended by the cron when their LDAP record reappears, or manually by an administrator. The data is fully deleted from the server when a user’s account is deleted, so this action requires a server backup to reverse. 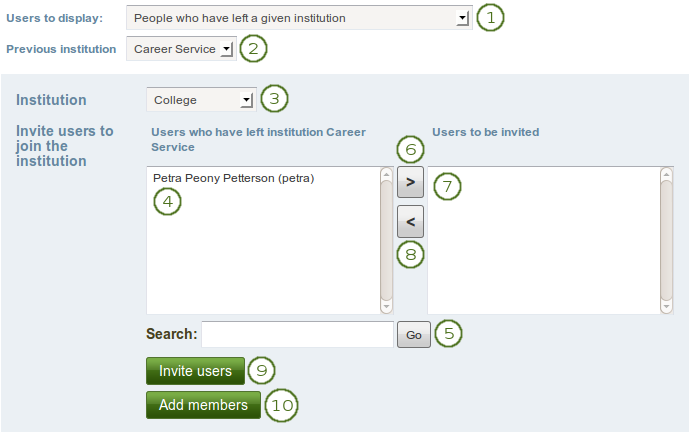 Auto-create missing groups: Tick this checkbox if you want to have new groups in your LDAP directory created automatically in Mahara. Include only LDAP groups with these names: If you want to restrict the creation / synchronisation of your groups to a specified number, list them here. Member attribute is a dn? Tick this checkbox if if each entry in the “Group member attribute” field is a “distinguished name”. Disable this setting if each entry in “Group member attribute” field is a username only. Process nested group: Tick this checkbox if your groups can contain other groups as members. If enabled, the sync process will recursively include the members of these nested groups into the parent group. Search subcontexts: Tick this checkbox if subcontexts should be included in the synchronisation. 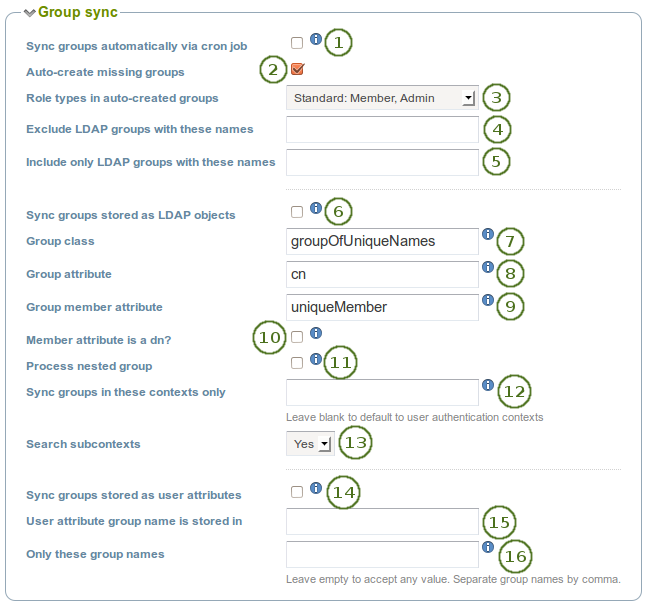 Sync groups stored as user attributes: Tick this checkbox if each LDAP user record has an attribute which indicates a group the user should be in. 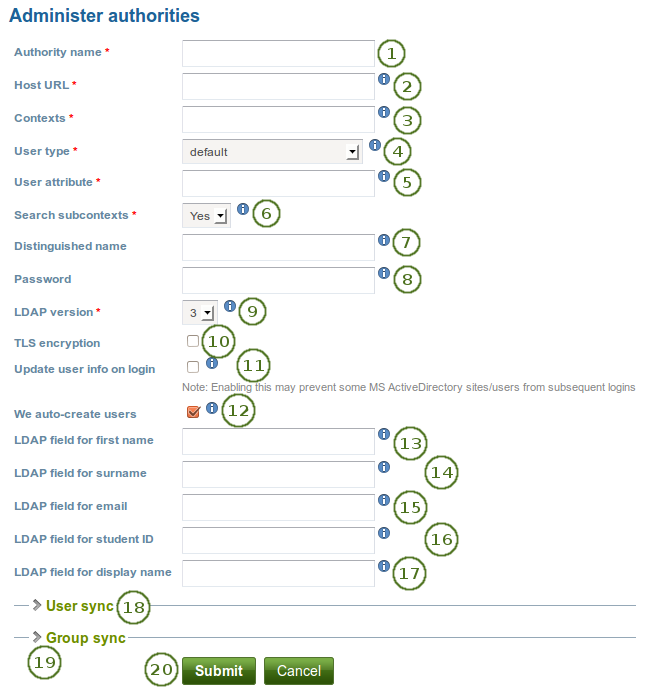 This setting will cause the LDAP sync cron to create a group for each unique value in the specified user attribute (or in those listed in the “Acceptable group names” field), and place each user in the appropriate group (or groups, if they have multiple values for the attribute). Institution value to check against attribute: Enter the value that will be checked against the institution attribute value as passed from the IdP. If the institution regex checkbox “Do partial string match with institution shortname” is selected, this value can be a regular expression that will be used to check against the institution attribute value. This field is required. Do partial string match with institution shortname: Check this checkbox to treat the value in “Institution value to check against attribute” like a regular expression. Match username attribute to remote username: This box is selected by default and needs to stay selected. It matches the user attribute value to the remote username field assigned to a given user (not the internal Mahara username). Only if you have the experimental feature of “usersuniquebyusername” turned on can you deselect this checkbox. We do not recommend this unless you are very experienced and have control over all applications in question. We auto-create users: This is unselected by default and needs to stay unchecked if the option “Match username attribute to remote username” is enabled. 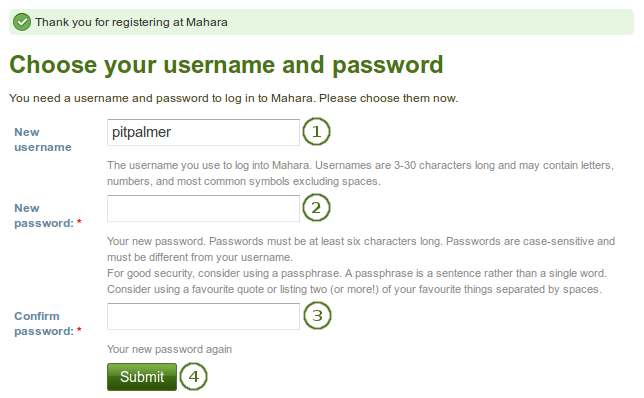 Check this box to create user accounts on Mahara automatically when a user authenticates successfully but does not yet have an account. Only if you have the experimental feature of “usersuniquebyusername” turned on can you select this checkbox. We do not recommend this unless you are very experienced and have control over all applications in question. 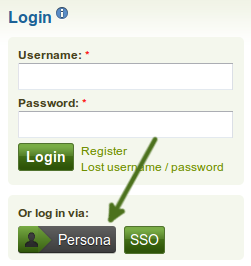 Use the Up arrow button and the Down arrow button to move a specific authentication method up or down in the list. Delete a particular authentication method by clicking the Delete button . 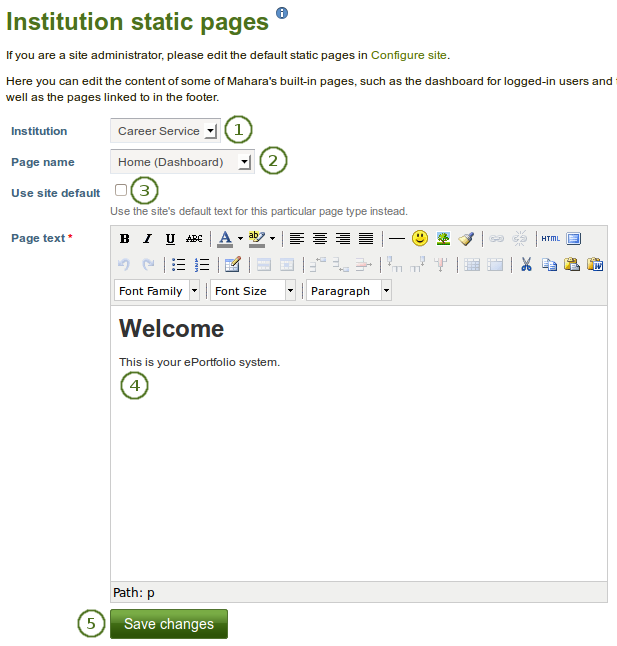 Institution: If you are a site administrator or an institution administrator of more than one institution, choose the institution for which you want to change page content. 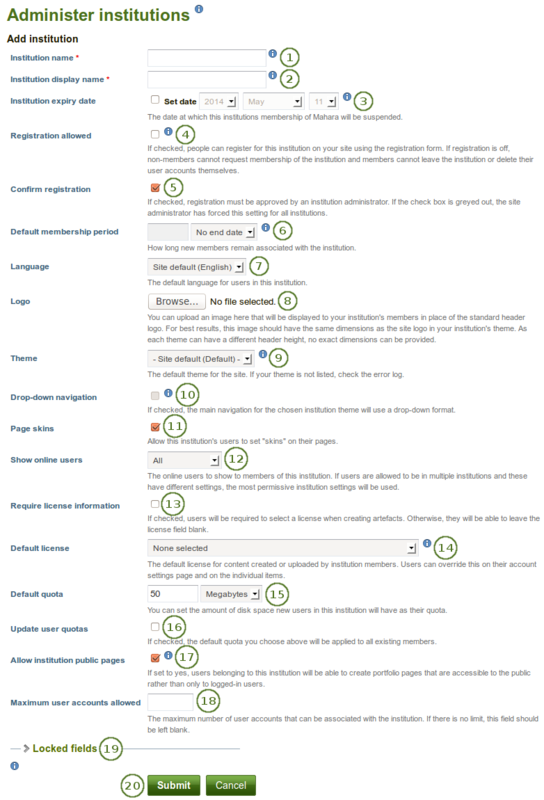 Use site default: Tick this checkbox if you want to use the content that is displayed on the page for the entire site. 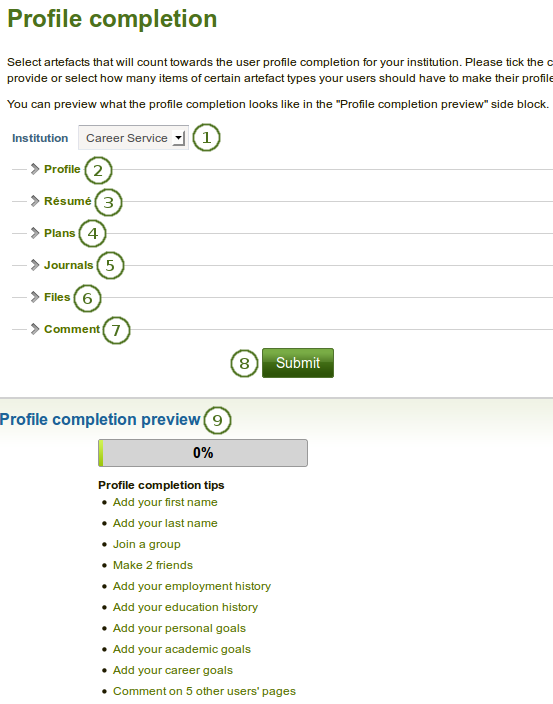 Institution: If you administer more than one institution, select the one for which you want to set up the profile completion from the drop-down menu. 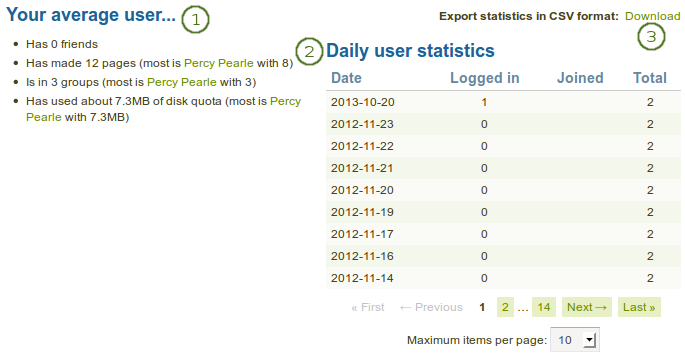 Profile: Tick the checkboxes next to the items that you want your users to fill in from their profile. That includes, their first name, last name, blog address etc. 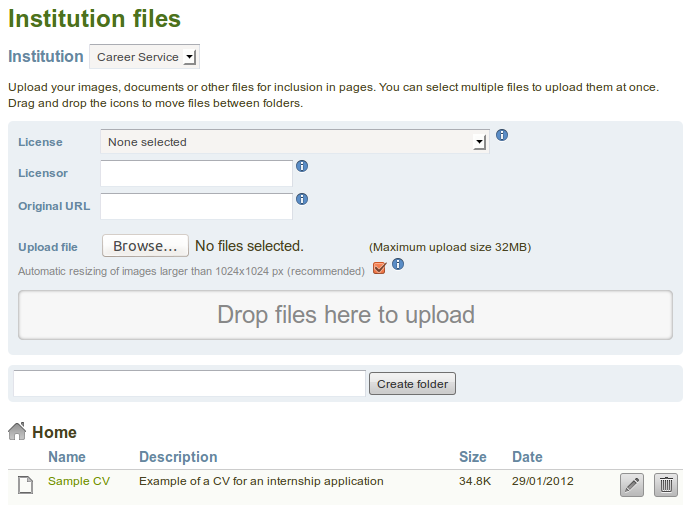 Résumé: Select the checkboxes next to the résumé items that your users should fill in to have a completed profile. 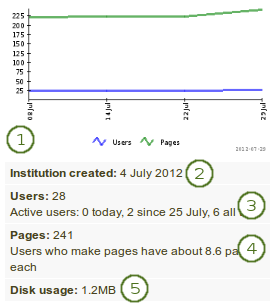 Journals: Select whether a user needs to have a journal and / or a certain number of journal entries for a complete profile. Comment: Select from the drop-down menu the number of feedback comments a user should make to gain a completed profile. 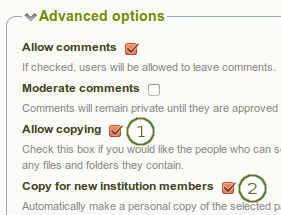 When you clicked the Edit access button on the Share page for institution pages and collections, place a tick in the checkbox Allow copying under Advanced options. 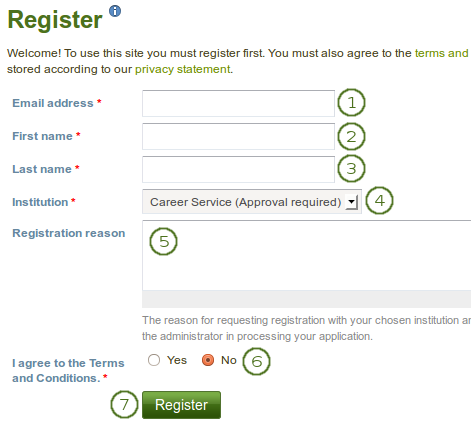 Institution staff: Place a check mark in this checkbox if the user shall have staff access rights. 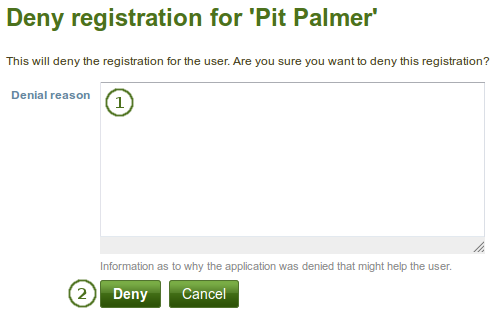 Click the Approve button when you want to approve this registration request or click the Cancel button to abort the approval process.